The law is a ‘seamless web’. If law in the 1960s had decided that the only legitimate justification for involuntary confinement was dangerousness, it followed that the psychiatrist’s primary clinical responsibility was the prediction and control of violence. During the 1960s, ethicists began to discuss psychiatrists using the metaphor of the double agent. The psychiatrist was both the agent of the patient, as therapist, and the agent of the state obliged to protect the public against the patient as policeman. 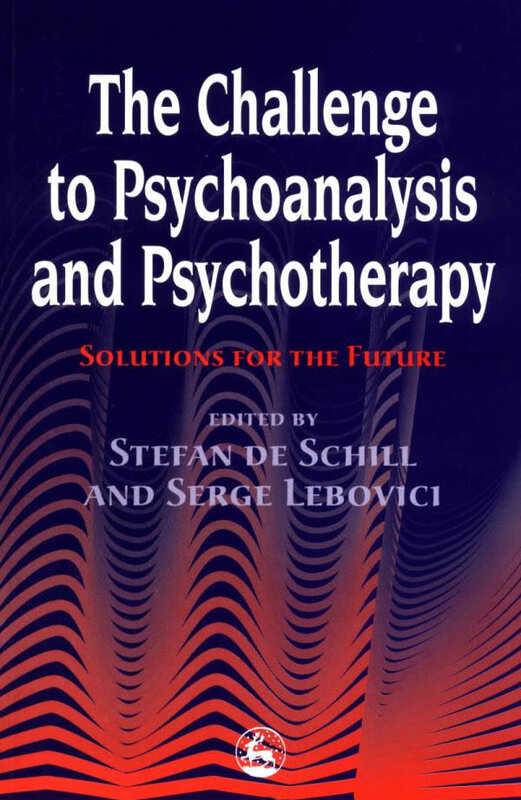 Although ethical analysis emphasized the psychiatrist’s primary obligation to the patient as therapist, the law began to emphasize the police function. The California Supreme Court, in the landmark Tarasoff case, ruled that private psychiatrists had a duty to protect the public from their dangerous patients. This duty applied, at first, only to psychotherapists. Subsequent cases extended the duty to all mental health professionals. The decision to interview a patient or client is sufficiently special to impose a duty to protect society and impose civil liability if we are negligent in this duty to identify violent patients and protect the public from them. Negligence in law is always a retrospective determination and expert testimony is necessary to prove that a mental health practitioner has been negligent in making predictions of violence. It used to be said that there was a conspiracy of silence protecting physicians against malpractice. That conspiracy no longer exists. Psychiatrists, psychologists and other doctors are now organized in prospering corporations and group practices to provide expert witnesses for either side on any case. Where once professional etiquette had made doctors reluctant to testify, the new spirit of professional entrepreneurship has psychiatrists, psychologists and other experts competing to testify. Nor are many of these experts deterred from testifying about the negligence of their colleagues by the consensus of the empirical evidence that psychiatrists cannot predict dangerousness (Monahan 1981). During the 1980s and beyond, clinicians will increasingly be sued for the negligent performance of their police function. There are already law suits of this sort all over the country. A lawsuit against John Hinckley’s psychiatrist for failing to warn potential victims was brought on behalf of three of Hinckley’s victims by the Washington Foundation, a public interest group concerned about the rights of victims. That law suit failed, but other suits demonstrate that lawyers believe they can build on Tarasoff and the law’s definition of the psychiatrist’s police responsibility to make the pool of psychiatric malpractice insurance into a victim compensation fund. And, of course, if Hinckley’s victims can sue, why not Hinckley? The violent patient could claim, for example, that the psychiatrist was negligent in failing to diagnose the potential violence and take more appropriate treatment measures. One woman recently sued her psychiatrist for negligently permitting her to kill her husband. She lost only because she had been convicted of murder and in law could not profit from her own crime. Hinckley, on the other hand, was found not guilty by reason of insanity—he had committed no crime. If the new theory of law is that the only valid justification for involuntary psychiatric care is the protection of the public, legislatures must be made to confront the fact that the mental health system is now ill equipped to serve this social function. Public psychiatry has changed from long-term care on locked wards to short-term care with revolving doors. Private psychiatry is geared to lengths of stay determined by third-party payment of health insurance. This new approach to mental health care was designed to minimize hospital stays for sick patients, not to protect the public from dangerous persons. The police goals imposed by the legal system and the therapeutic goals of the mental health system could not be more contradictory. In the foreseeable future psychiatrists and hospitals will bear the burden of this systematic contradiction in the form of malpractice suits. This conflict between legal policy and mental health policy will surely get worse as the costs of hospitalization increase, and malpractice litigation will not make it better. I believe that the vast majority of psychiatrists and psychologists in private practice do not want to be responsible for violent patients. Creating new legal liabilities will not create greater responsibility. It may, instead, result in more therapists avoiding potentially violent patients. And in the public sector where dangerous patients cannot be avoided, there is no scientific basis for making the predictions the law now demands. Systemic legislative reform to deal with this problem poses serious difficulties for civil libertarians. After the Hinckley verdict I testified before Congress and told the Senate and the House sub-committees that if they were really concerned about protecting the public, it was not the insanity defense that needed to be changed but the laws dealing with the subsequent confinement of persons like Hinckley. I pointed out that under laws designed to protect alleged patients from the repressive powers of psychiatry, Hinckley would be entitled to a due process hearing every six months for as long as he was confined. At each of these hearings the court would have to rule that he was still insane and dangerous. The courts would require psychiatric predictions of dangerousness that have no scientific validity. The scales of justice are tilted in favor of release, given the burdens of proof and the concern about the liberty interest of the person confined. The fact is that the laws protecting patients from psychiatrists also sacrifice the protection of the public (Stone 1985). Revolving-door psychiatry adds to this loss of public protection. Neither the republican chairman of the Senate sub-committee nor the democratic chairman of the House sub-committee seemed willing to address these painful realities, for to do so would be to risk being seen as insensitive to civil liberties. In fact, early legislation drafted by the House in response to the outrage over the Hinckley decision would have made it even more difficult to safeguard the public. This legislation was eventually rejected and laws tilting the scales of justice toward public protection were enacted. But in other areas oflaw an ironic legal formula remains in place. Civil libertarians have argued that psychiatric predictions are so unreliable that involuntary confinement should require a past act. This is the maxim that ‘every dog is entitled to one bite’. Furthermore, civil libertarians would now bar psychiatrists from testifying about future dangerousness in court because such testimony is unreliable. At the same time, the law wants to hold psychiatrists liable in malpractice for the first bite their patients take because they failed to predict dangerousness. Furthermore, the dangerous patient’s confinement in most states is to be determined by proof beyond a reasonable doubt (in a few states by clear and convincing evidence), whereas the psychiatrist’s liability for not predicting violence will be decided by the lesser standard of preponderance of the evidence. In short, it could happen that a psychiatrist would be liable for the violence of a patient whom a judge would have refused to commit. This is not just a hypothetical scenario. Psychiatrists have been found negligent in Tarasoff-type law suits in cases where they made good-faith judgments that the patient was not committable. I understand the supposedly compelling legal reasons for this strange result but I think it is a symptom of an incoherent policy. Tarasoff-type law suits will plague the private practitioner but the impact on public and private psychiatric inpatient facilities will be greater. Psychiatric inpatient facilities will be pressed on the one side by due process and utilization review committee to discharge patients rapidly and on the other side by fear of liability for negligent release of violent patients, without the wisdom needed to resolve the dilemma: accurate prediction. Liability for patients who commit violence against third parties is only one aspect of what may well be a mounting tide of malpractice litigation against psychiatrists. Considering the prevalence of tardive dyskinesia (Munetz, Roth and Comes 1982), the number of malpractice claims to date are minuscule. There is a potential gold mine for contingency-fee lawyers who are now free to advertise for clients. Damage awards in the few tardive dyskinesia cases that have been tried are in the millions. Given the growing number of psychiatrists who earn a good share of their professional income as expert witnesses, the picture ahead is bleak. One can image such experts drumming up business by lecturing trial lawyers on the possibilities of such litigation. violence of patients. Sixth, although a conspiracy of silence is no longer acceptable, psychiatrists who testify in court must acknowledge the limitations of their expertise and also acknowledge that there are different schools of thought in psychiatric treatment. If the factionalism within psychiatry finds a battlefield in the courts and in the hearings where third-party reimbursement is decided, the future of psychiatry as we now know it is bleak indeed. What effect will the class action suits of the 1970s have on psychiatry in the future? In answering this question we should realize that psychiatry is only a bit actor in a large political drama involving tensions between the three branches of government and between federal and state authority. The protagonists in this drama are the federal judiciary and not psychiatry. On one political side are judicial activists willing to find new substantive rights in the constitution, even if implementing those rights means huge expenditures of public dollars and further expansion of the role of courts in society. On the other side are advocates of judicial restraint who are determined that the courts should pull in their horns and leave these matters to the legislature. Both sides cite the constitution in defense of their policies and politics. Judicial intervention by the federal courts now touches on many institutions and state agencies: schools, prisons, jails, juvenile facilities, institutions for the criminally insane, mental hospitals, institutions for the mentally retarded, detention centers for illegal immigrants, departments of social service, welfare departments, and so forth. Each new judicial intervention creates a new layer of bureaucracy and an expansion of the existing bureaucracy. Judicial activism and interventionism offends state and local officials not only because the court imposes its fiscal priorities and takes politically unpopular actions but also because litigation is, by nature, muckraking and mars the public image of the local political bureaucracy. Class actions intrude on the power of the legislature and alter the balance of its power over the state agencies. Political liberals on the Supreme Court, like Justices Brennan and Marshall, tend to be activists; political conservatives, like Chief Justice Burger and Justice Rehnquist, tend to favor judicial restraint. During Justice Burger’s tenure as Chief Justice the court began to tilt in favor of judicial restraint. Chief Justice Burger’s retirement and his replacement by Justice Rehnquist means that a more powerful intellectual will lead the court on its conservative course. The new member of the court, Justice Scalia, is also generally considered a powerful legal intellect and a conservative. Thus conservatives now seem to be firmly in control of the court. The Justice Department, once a participant in many of the class action suits on behalf of the mentally ill and mentally retarded, now seems dominated by the credo of non-interventionism. But it is not clear that the Supreme Court or the Justice Department can control all of the federal judiciary. Activist judges appointed for life can risk marching to their own drummer, subject only to reversal by a higher court. Each month brings new intervention by these federal judges and more willingness to exert their authority over the public mental health system, even to the extent of holding state officials in contempt when they fail to carry out the judicial decree. These activist judges do all this knowing that the Chief Justice, at least, and a majority of the Supreme Court may well overrule their interventionist decisions. And now, as the federal courts are increasingly dominated by conservative judges, legal activists are turning to the state courts with some success. When judicial activism and intervention first reached into mental institutions, the psychiatric establishment became understandably anxious. There was an impulse to rally around fellow professionals in the face of judges telling psychiatrists what to do. In reality these activist judges were often telling state officials and legislatures what to do, namely provide better care and more resources to patients. The psychiatric establishment, by failing to recognize this, allowed itself to become identified as opponents of their patients’ rights. Organized psychology and the other non-medical mental health professions seized the opportunity created by this litigation and aligned themselves with the patients’ rights movements. Although class action right to treatment and right to the least restrictive alternative contributed to the problem of the homeless mentally ill, their goal was to improve the lot of the mentally disabled. The psychiatric establishment was on the wrong side and this, no doubt, has contributed to the deteriorating public image of the psychiatric profession—a problem which may well continue in the future. The American Psychological Association and other non-medical mental health professions, sensing their advantage, also favored the class actions brought on behalf of patients’ right to refuse antipsychotic medication. The right to refuse antipsychotic medication has put barriers in the way of efficacious treatment, but in the struggle to capture public opinion once again, psychiatrists were identified as against patients’ rights. bowed to us not because he respected psychiatry more than Justice Brennan, Marshall or others. His deference to psychiatry was merely a pose which he assumed to support his long-standing opposition to judicial intervention to meet the substantive needs of the mentally ill, the mentally retarded or other disadvantaged groups. Justice Burger, of course, believes that these are problems to be solved by legislatures, even though history makes clear that state legislatures have rarely provided the resources necessary to solve these problems. Thus while the Supreme Court now, in some situations, defers to our professional discretion, those who work in the public sector are left to exercise that discretion without the resources to meet the needs of their patients. The practice of medicine in general, and psychiatry in particular, is now regulated by state and federal law, by state and federal agencies, by independent accrediting entities and, perhaps, most importantly, by the health insurance industry—including Medicaid and Medicare. Most important, all of medicine is being pressured by economic constraints. State and federal government must act to control the inflationary trends in the health industry. Even the Reagan administration, once embraced by the medical establishment, saw no alternative but to impose prospective payment and ‘diagnostic related groups under Medicare. Prospective payment may well be the wave of the future even in psychiatry although at this writing it still is exempt’ (Stone 1976). There will be more regulatory churning and, as other medical specialities concerned about their own economic situation exert their considerable political pressure, there is reason to be concerned that financing of psychiatric care will be further restricted. If this scenario comes to pass, I have a hunch that it will be the psychiatric profession who will beat a path to the court house door to invoke due process, equal protection and ask for intervention by the federal courts. We have already seen the federal courts in New York state take such a step and correct discrimination against psychiatry by the Medicaid bureaucracy and there may well come a time when the federal courts are the psychiatrists’ last resort. The United States has an obsession with law but it is an obsession which psychiatry cannot ignore or deny. Freud said that the outcome of an obsession is ‘interminable self torture and eventually there follows a systematic torturing of the object, insofar as it is within reach’. Psychiatry is well within the reach of the law’s obsession and we must choose between masochistic surrender or identification with the aggressor. If one looks to the past three decades of mental health and law for hopeful signs for the future, what stands out from my perspective is the remarkable strides made in the field of mental retardation. There have been no great scientific breakthroughs in treatment, nothing comparable to the antipsychotic drugs for the treatment of serious mental disorders. Yet the quality of care now available to the mentally retarded has been substantially improved. Here litigation and legislation have clearly helped and deinstitutionalization has not produced a new generation of the homeless mentally retarded. The key ingredients in this relatively successful development seem to be as follows. First was the political activism of the families of the mentally retarded who constantly lobbied for more resources. Second, despite the ideology of normalization, no one ever believed that significant mental retardation was a myth and that the need for care would disappear if the mentally retarded were ‘liberated’. Third, it was clear from the start that mental retardation required long-term treatment programs and community-based support systems and not a quick fix at the community mental health center. Fourth, family activism led to more family involvement and participation in the class action litigation. Families helped to shape that litigation and they knew that needs were as important as rights. Finally, as the families of the mentally retarded demanded more from the courts and legislatures, they also gave more themselves to the care of the mentally retarded. The basic attitude and sense of responsibility of the family for the mentally retarded was transformed. There are beginning signs of similar developments among families of the mentally ill and they may playa role in future legislation and litigation that could produce positive results. But one cannot deny that this will be an uphill struggle. The Congress of the United States has recognized the continuing institutional abuses and failures of the mental health system in providing care for the chronically mentally ill. But rather than provide the resources to improve the system of care in 1986, they passed legislation which will force the states to institute advocacy systems for the mentally disabled. These advocates can monitor every discretionary decision of mental health professionals but they cannot force a mental health system without adequate resources and competent professionals to provide better care. These advocates can ‘institutionalize’ the legal bureaucracy that now has become a shadow administration of the mental health system. But if these advocates can be made to recognize that they must be advocates for more and better care and not just adversaries of the present mental health system, the law may yet help the mentally disabled in the future. American Bar Association (1983) Criminal Justice Mental Health Standards. Tentative Draft. American Psychiatric Association (1983) Statement on the Insanity Defense. Bazelon (1974) ‘The perils of wizardry’. American Journal of Psychiatry, 131, 1317-1322. Burt, R.A. (1979) Taking Care of Strangers: The Rule of Law in Doctor-Patient Relations. New York: Free Press. Capron, A. (1982) President’s Commission for the Study of Ethical Problems in Medicine and Biomedical Research; Making Health Care Decisions, Volume One. Washington: US Government Printing Office. Ennis, B. et al. (eds) (1973) Health Law Project: Legal Rights of the Mentally Handicapped. New York: Practicing Law Institute. Frank, J. (1970) Law and the Modern Mind. Magnolia, MA: Peter Smith. Goldstein, A. (1980) The Insanity Defense. Westport, CT: Greenwood. Goldstein, J. et al. (1984) Beyond the Best Interests of the Child. New York: Free Press. Joint Commission on Mental Illness and Health (196 I) Action for Mental Health. New York: Basic Books. Karz, J., Goldstein, J. and Dershowitz, A. (eds) (1967) Psychoanalysis, Psychiatry and Law. New York: Free Press. Monahan, J. (1981) Predicting Violent Behavior: An Assessment of Clinical Techniques. Beverly Hills: Sage. Moore, M. (1985) Law and Psychiatry: Rethinking the Relationship. Cambridge: Cambridge University Press. Munetz, Roth and Comes (1982) ‘Tardive dyskinesia and informed consent; myths and realities’. Bulletin of the American Association of Psychiatry and Law, 10, 77. Rothman, D.J. (1971) Discovery of the Asylum: Social Order and Disorder in the New Republic. Boston: Little Brown. Stone, A.A. (1976) Mental Health and Law: A System in Transition. New York: Jason Aronson. Stone, A.A. (1984) Law, Psychiatry and Morality. Washington: American Psychiatric Association. Stone, A.A. (1984) ‘The new paradox of psychiatric malpractice’. New England Journal of Medicine, 311, 1384-1387. Stone, A.A. (1985) ‘Book review of L. Caplan’s “The insanity defense and the trial of John Hinckley”‘. Harvard Civil Rights/Civil Liberties Law Review, 20, 527-536. Szaz, T. (1968) Law, Liberty and Psychiatry. New York: MacMillan. Szaz, T. (1977) The Manufacture of Madness: A Comparative Study of the Inquisition and the Mental Health movement. New York: Harper & Row. Szaz, T. (1984) The Myth of Mental Illness: Foundation of a Theory of Personal Conduct. New York: Harper & Row. Vladeck, B. (1980) Unloving Care: The Nursing Home Tragedy. New York: Basic Books.